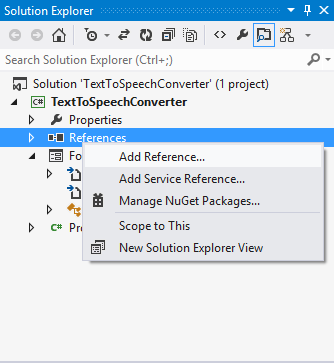 In this Article, We will learn How to create Text to Speech Converter in C# Windows Form Application using SpeechSynthesizer Class. 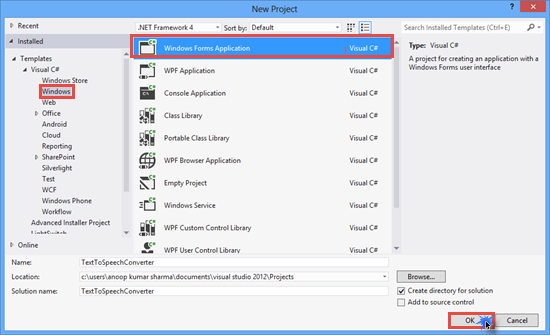 1) Create New Project -> Select Windows Form Application in C# -> Give it a name. 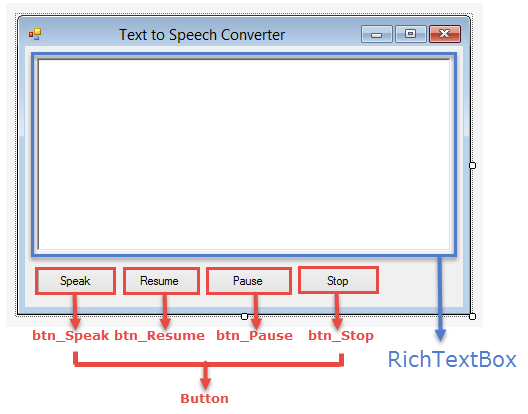 2) Drop RichTextBox and four Button Controls from the ToolBox. 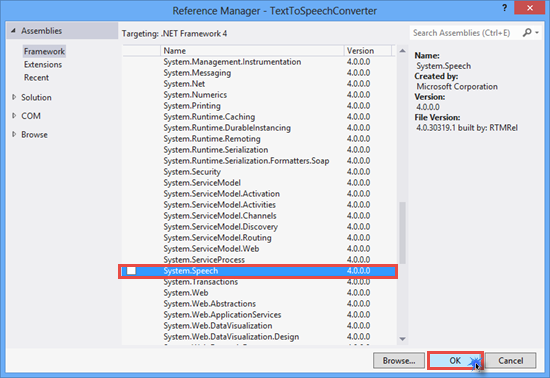 3) Right click on Reference Folder -> Click on Add Reference. 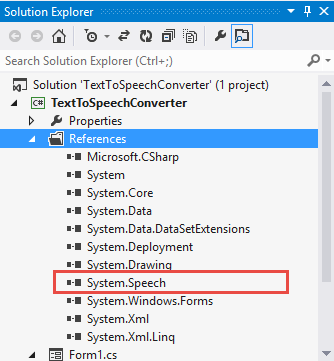 4) Select System.Speech Assembly and Click on OK.
After adding it, you will see System.Speech assembly under References folder. //SpeechSynthesizer Class Provides access to the functionality of an installed a speech synthesis engine. //Gets the current speaking state of the SpeechSynthesizer object. //Resumes the SpeechSynthesizer object after it has been paused.